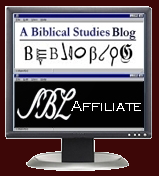 This is the third demonstration in a series (here are 1 and 2) on the use of the Word List Manager (WLM) in BibleWorks7. In the previous post, I investigated the relationship between the vocabulary of the LXX and the Greek NT. It turns out that 73% of the lemmas in the GNT are also used in the LXX. But what about that remaining 27% or 1438 lemmas that are not used? Are they common Koine Greek words of the first century CE? Or are they words that have gained special currency among Christians. In the next post, I will provide some more suggestions on how to use the WLM.